By Brother Daniel Leckman, S. J. As part of an ongoing project I undertook to help my brother find some kind of faith in his life, I send him daily emails, with the mass daily readings, something about the saint of the day, and my reflections on the readings, the saint or both. This has been educational for both of us. He’s finding out a little more about scripture and the faith, and I’m meeting a lot of interesting saints! Last week, we encountered one in particular that on the surface seemed like every other saint in our calendar; someone who would offer their life to the greater good. Still, his story would catch the attention of some rather big names in world history! I’m sure most of you will not know the name St Damien (1840-89). He’s an ordinary 19th century saint, I suppose, but he left his own mark on the world due to his ability to go the extra mile and offering his life to those who needed it the most. He didn’t do anything extraordinary; he just placed himself in a position that nobody wanted to be in. He left his native Belgium to go live with people suffering from leprosy in Hawaii. He himself would eventually die of it. In that simple offering, he was able to serve this people with his loving presence for a short while. Oddly enough, he was severely criticized by a Presbyterian minister in Hawaii. The minister didn’t like Damien’s methods and said that his leprosy could only be attributed to his own carelessness! What’s incredible is that two famous people actually took the time to respond to this attack, and to defend the future saint. The first was Gandhi. He wrote that Damien had been an inspiration for his own social initiatives in India. He continued this way, “The political and journalistic world can boast of very few heroes who compare with Father Damien of Molokai. The Catholic Church, on the contrary, counts by the thousands those who after the example of Fr. 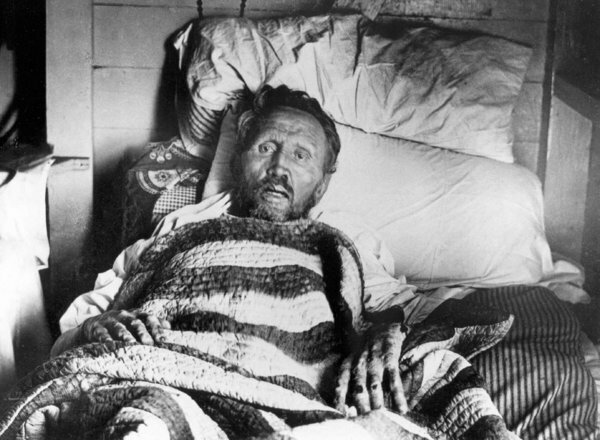 Damien have devoted themselves to the victims of leprosy. It is worthwhile to look for the sources of such heroism”. Really, in the end the criticism was one of jealousy from a non-Catholic … and it’s one I’m sure Catholics are capable of when they see other people of different religions do good in the world. This is the fickleness of our humanity, that we take such a glorious act and turn it into something petty. 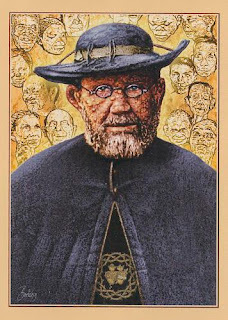 But no matter how petty we get, there is always room for Christ to manoeuvre in our world, and to triumph in all his Glory, as he did in the life of St Damien. Thanks for the awesome post on Fr. Damien! I didn't know that he had garnered the attention of Gandhi during his lifetime. There is a movie about him called "Molakai: The Story of Fr. Damien" (1999, Directed by Paul Cox) that is very well done--well worth the watch! I watched the movie when I was 12 or so, and shortly I decided to take Damien as my confirmation name.